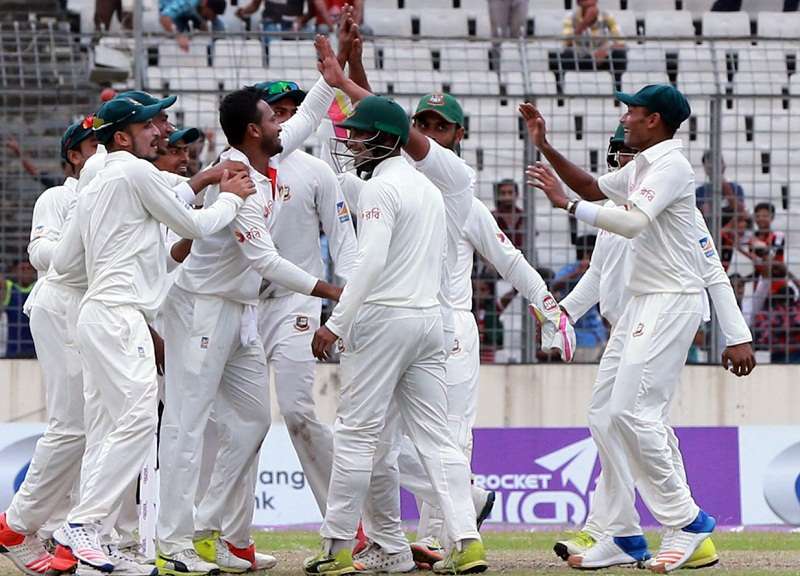 Bangladesh have recorded their first ever Test victory over Australia in dramatic circumstances at Mirpur, with the tourists failing by just 20 runs. Set an imposing 265 to win, the visitors were bowled out for 244 shortly after lunch on Wednesday’s fourth day, with star all-rounder Shakib Al Hasan claiming 5-85 to finish with 10 wickets for the match. It is Bangladesh’s first Test victory over Australia. A similar triumph in next week’s second and final Test in Chittagong would result in Australia tumbling to No.6 in the world Test rankings. But the visitors lost five wickets in the final hour before lunch, and any remaining hope evaporated when Glenn Maxwell was bowled by left-arm spinner Shakib with the first ball of the second session. Tailender Pat Cummins fought valiantly, belting offspinner Mehedi Hasan for two sixes in one over on the way to an unbeaten 33, but it was all over when Taijul Islam trapped Josh Hazlewood lbw for a duck. Bangladesh have now won Tests against England, Sri Lanka and Australia within the past year. 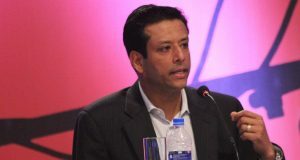 In the previous 16 years of Tigers Test existence, they had defeated only Zimbabwe and a second-string West Indies outfit ravaged by a player strike. The significance of their successes over the past 12 months cannot be understated. 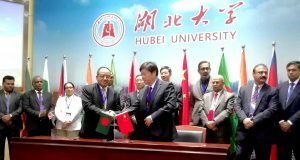 It is no coincidence that the major contributors to this triumph were two of Bangladesh cricket most experienced players, Shakib and Tamim Iqbal.